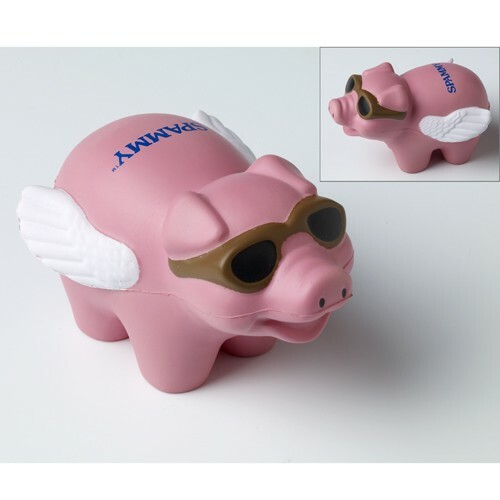 Squeeze the stress away with this pink SPAMMY™ pig with wings and sunglasses. Blue SPAMMY™ imprint on top. 4" X 2" X 2".